DALLAS — So . . . this is the team we have longed to see. The Celtics who are the aggressors, who don’t blame fatigue and injury, and who relish the tougher parts of their schedule. Consecutive games at Houston and Dallas are a difficult stretch for any NBA team but the Celtics spent the past two nights sending a clear message to the rest of the league. They have a lot of basketball left and there are 13 games before the playoffs to tighten up the weaknesses. 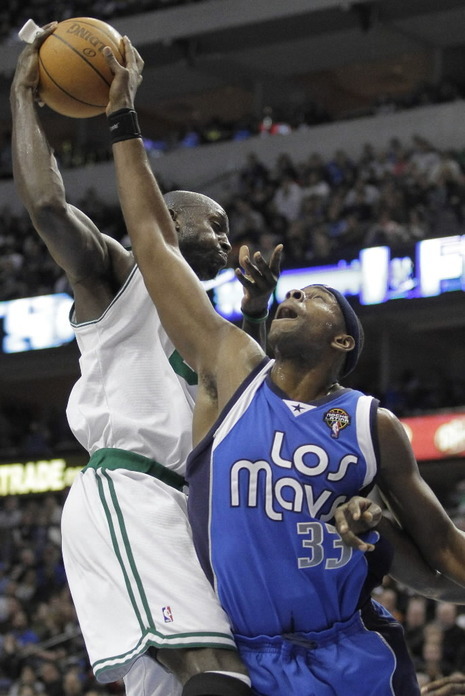 The Boston Celtics got the split they wanted with the Dallas Mavericks. Paul Pierce scored 29 points, Rajon Rondo added 20 points and 10 rebounds, and the Celtics stretched their winning streak to four games with a 102-93 victory over the Mavericks on Saturday night. Ray Allen had 21 points for the Celtics, beaten by the Mavericks 99-90 in Boston on Jan. 18 in their only other meeting this season. DALLAS — The number Doc Rivers had in his head was six. Dirk Nowitzki, Jason Terry, and J.J. Barrea were throwing darts at the Celtics and the Dallas Mavericks were eating away at the Celtics’ lead.